Xpace Cultural Centre believes that everyone should be paid for their labour. If artists and cultural workers do not begin to value their own labour then no one else will. Institutions that can afford to pay interns must do so as changes to employment policies won’t happen as long as people continue to accept unpaid labour as a necessary part of being an artist and designer. For this reason we do not offer unpaid internships at any time. 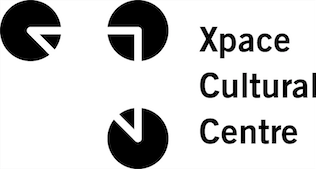 The OCAD Student Union and Xpace are committed to ensuring that the University campus and broader OCAD U community are inclusive spaces where all members are treated with respect and dignity. We encourage applications from women, Aboriginal peoples, visible minorities, people with disabilities, and persons of all sexual orientation or gender identity. Please note that we will endeavour to accommodate job applicants with a disability during the hiring process in accordance with the Ontario Human Rights Code guidelines and other applicable legislation. Xpace does not currently have any open positions.